Alien: Awakening, the proposed next movie in Ridley Scott's prequel series, might have to scrub Alien from the title. As it doesn't sound like it will feature the iconic xenomoprh. 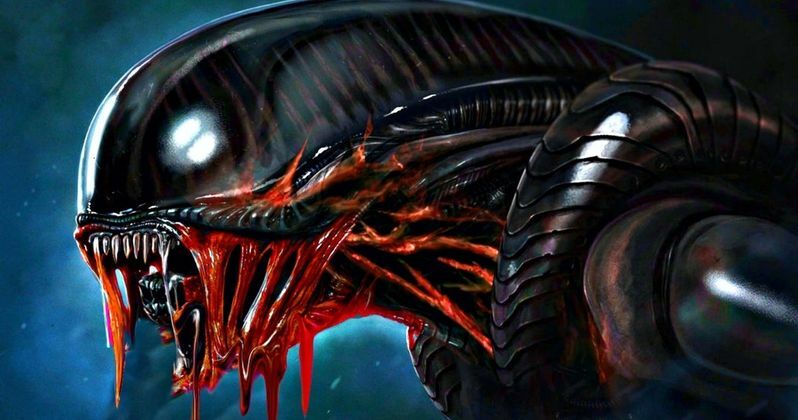 Unfortunately, it looks like the Alien franchise may have mostly run its course. Prior to the release of Alien: Covenant earlier this year, it looked like Ridley Scott was getting ready to revive the sci-fi series in a big way, which had him speaking rather bullishly about the future. However, since the movie flopped, he's changed his tone. Here's what he had to say in a recent interview while speaking about his decision to direct Alien: Covenant, as opposed to Blade Runner 2049. "It was a crossfire of too much business. I'm doing a lot of TV and films, there are six films going out this year. I figured it was a good piece of business to follow through Prometheus, which, from ground zero, had good lift-off. So we went to Covenant to perpetuate the idea and [revive] the franchise of the Alien. I think the beast has almost run out, personally. [On 2049] You've got to come in with something else, you've got to replace that. And on Blade Runner, I think Denis was a fantastic choice." Alien: Covenant was met with very mixed reviews from both fans and critics, but the more important factor here is box office. The movie made just $240.7 million worldwide working from a reported $97 million production budget. That's surely not what Fox was hoping for, which is why they're reportedly rethinking their strategy with the franchise moving forward. Apparently, so is Ridley Scott who, at one point, said he felt six more Alien movies were possible. As it stands, Ridley Scott is still working on an Alien: Covenant sequel. He's said previously that the movie could shoot next year and, recently, said that the movie will focus more on A.I., like Michael Fassbender's David, as opposed to the Xenomorphs. It's possible when he says that "the beast has almost run out," he's talking more about the actual Xenomorph, and maybe not the Alien universe entirely. Still, he's certainly changed his tone from just a few months ago. During a roundtable conversation at SXSW earlier this year, Ridley Scott said he'd like to keep the Alien franchise going forever. "Well I think this is so, dare I say clever and violent and everything you kind of want. I think it's a cut above what's come before. And therefore we leave all kinds of things open for the next one. Just see how you go. I mean, I enjoy doing them so much. Honestly, I'd like to keep it going forever." Fox hasn't officially dated the Alien: Covenant sequel, nor has any sort of formal announcement been made. Given the way that movie ended, at least one more movie would help close the gap between these prequels and the original Alien, for better or for worse. You can check out the interview clip with Ridley Scott, courtesy of The Hollywood Reporter, for yourself below.